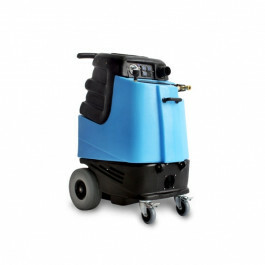 The 1005DX Speedster carpet extractor was designed with cleaning professionals in mind. Each Speedster has waist-high switches and bucket-high drains. The Speedster have 10″ semi-pneumatic, foam-filled wheels and 4″ locking casters for easy mobility around the job site or even stairs. The Speedster is virtually as good as it gets when it comes to purchasing a carpet cleaner. 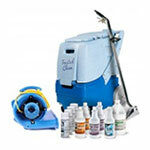 The Speedster line of carpet extractors are powerful, portable, user-friendly and affordable. They have features that set them apart from the competition. Made at our California plant, our Speedsters undergo extensive factory testing to ensure that they meet rigorous quality standards. Mytee extractors are covered by the strongest warranty in the industry.